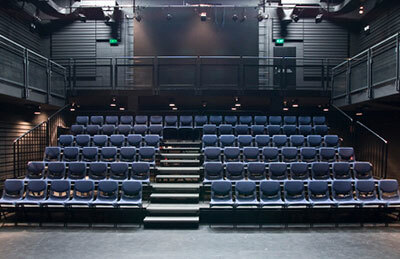 The NIDA Theatres, Studio Theatre is 190 square metres and offers seating for audiences of up to 120 people. With removable seating and a wrap-around balcony this venue is often dedicated to the work of emerging theatre makers. The Studio is located at NIDA on Anzac Parade in Kensington, Sydney. The Studio Theatre has 120 removable seats and adjustable platforms that can be configured in a variety of performance formats. a dressing room with capacity for 12 artists.